Introducing the newest arrival from Seed Heritage – the softest and snuggliest baby bedding, designed with sweet dreams in mind. 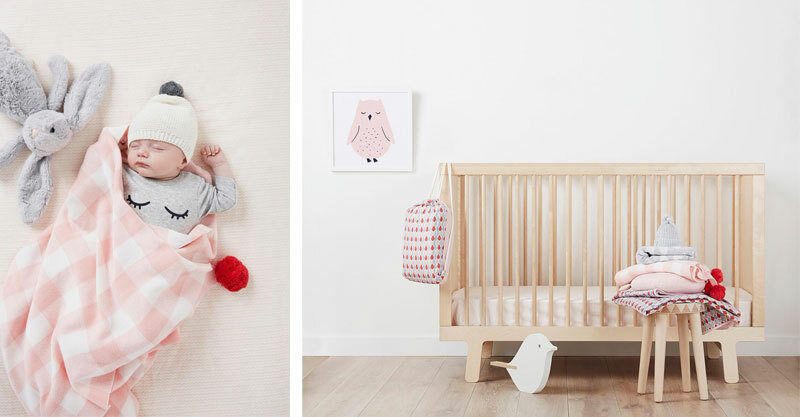 Created with all-natural fabrics that are beautiful and practical, Seed Heritage has designed an exclusive range of baby bedding that your littlest ones will love. There is a fun play on vintage design with contrasting patterns that work on a strong base colour palette. The gingham blanket has a sweet and stylish retro vibe that instantly becomes fun and fabulous with contrasting red pom poms on each corner. Available in navy or pink, the gingham blanket is $80 and knitted from 100 per cent cotton. Seed Heritage has really hit its strides with its line of padded cotton blankets with polyester filling for $80. These blankets come with an accompanying cotton carry bag and the patterned designs are versatile and unique. The Leaf Blanket is gorgeous for girls while the Cloud Blanket (pictured at the top right) is all boy with its monochrome moodiness. 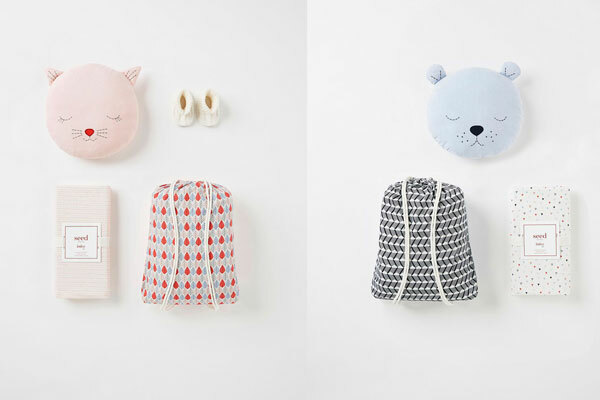 These blankets can easily do double duty as a comfy play mat and would make a memorable gift. Finally, the sheets. Bringing balance to the whole collection are the Geo and Squiggle fitted sheets for $30. Sized to fit most standard cot mattresses, these 100 per cent cotton sheets have repeated prints in dusty blue and pretty pink respectively. 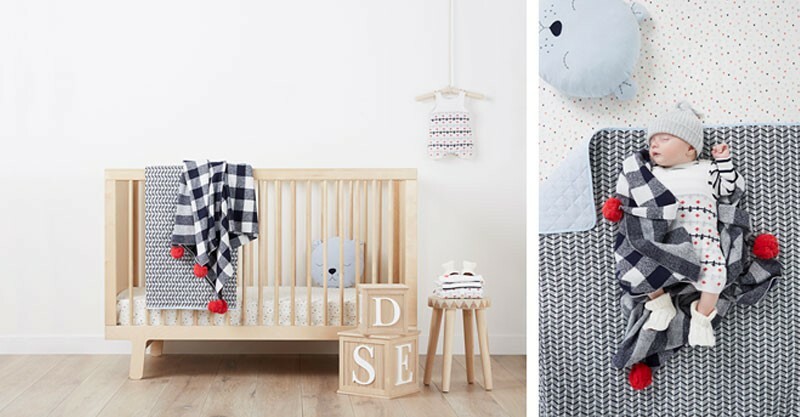 The baby bedding line from Seed Heritage is available online with free shipping in Australia standard on all orders over $50. You can also find them in a store near you.